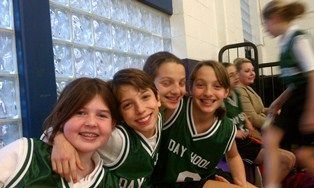 Like our mascot, the Bullfrogs—the athletic teams at The Day School at Baltimore Hebrew—are small but strong. Bullfrogs are known to be able to eat creatures that are rather large—birds and snakes for instance. Likewise, our Bullfrogs are able to beat teams of schools with many, many more players to choose from, even for their B team or second string. 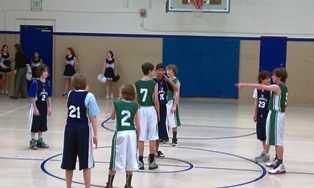 Our soccer and basketball teams have scored victories over many larger schools’ teams. “To this point in the season, the boys’ team has faced adversity several times and handled it well. The team’s record is still unblemished and the entire school family has provided tons of support. Led by a handful of future stars, the Bullfrogs have brought their game to a high level and learned plenty about the value of contributing to a team. What is most inspiring about the Bullfrogs is not just their winning seasons, but their attitudes. The derech eretz (exemplary behavior) and sportsmanship of the children is astounding. When a player from another team seems hurt, our players are the first to check up on them. Our boys’ team cheers on our girls’ team and vice versa, but always applauds for the good plays of the other teams as well. When a younger or less-seasoned player is in the game, all of their teammates give encouragement and praise. Most important of all, they put their hearts and souls into playing.